The arrival of The Prince of Wales and The Duchess of Cornwall arrive in Ghana on Friday 2nd November on the second leg of the Royal visit to West Africa (from 31st October – 8th November), I am reflecting on my own recent meeting with them last month. 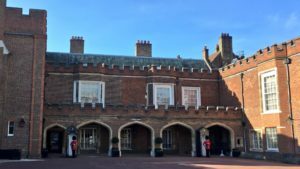 Upon the request of Their Royal Highnesses, The Prince of Wales and The Duchess of Cornwall, I was invited to at St. James’s Palace by Clarence House to mark their official visit to The Gambia, Ghana and Nigeria. The invitation from Prince Charles and the Duchess of Cornwall was extended to influential figures and celebreties of Ghanaian, Gambian and Nigerian heritage from the world of business, fashion, media, music and sports. 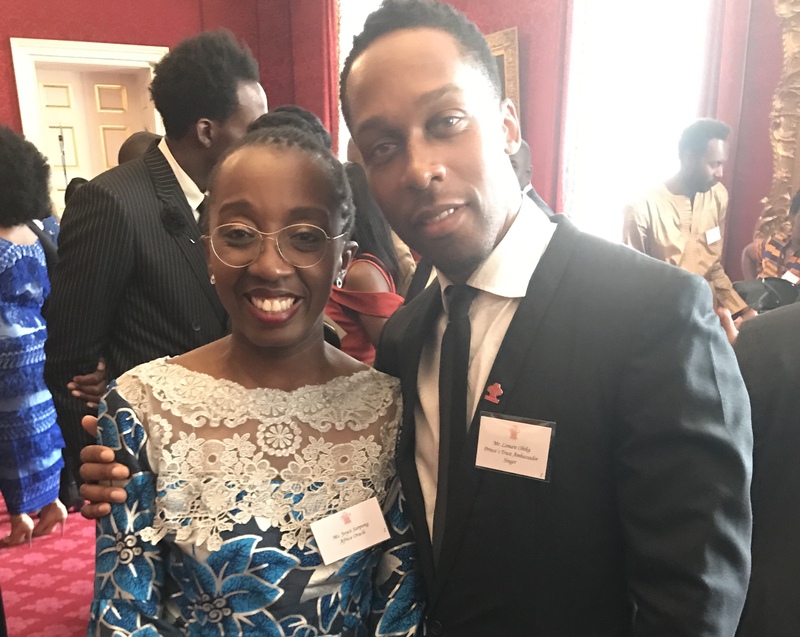 Attendees at the reception were notable British West Africans, including: Vogue editor, Edward Enniful, fashion designer Oswald Boateng OBE, rappers Tinie Tempah & Lethal Bizzle, Lemar, #GBBO contestants Selasi Gbormittah & Benjamina, Ronke Phillips, Oba Nsugbe QC and Dentaa Amoateng MBE. It was truly an honour to be amongst such great company. Also present at the reception were diplomats and ministers including: diplomats such as the British High Commissioner to Ghana, H.E. Iain Walker, Ghanaian High Commissioner to UK, H.E. Papa Owusu Ankoma and the UK Minister for Africa, Harriet Baldwin. Their Royal Highnesses’ visit to West Africa, at the request and on behalf of the British Government, will celebrate the UK’s partnerships with these Commonwealth Nations on a range of shared priorities. The visits will highlight the importance of the countries’ Commonwealth ties. Given that the aim of the visit is to strengthen ties in the UK, Ghana, The Gambia and Nigeria it was rather befitting that a special reception was held for representatives of British West Africans in London. The purpose of the reception in London was to celebrate the numerous contributions made by British West Africans. Listen to Prince Charles speaking about how the royal visit. To all my Ghanaian friends, I recommend watching this. HRH talks of his love of highlife music, his memories of recent trips and his excitement for the visit ahead. There is no greater demonstration of these ties as than the dynamic Gambian, Ghanaian and Nigerian diaspora […] and act as a bridge between our countries across which the travel ideas, creativity and talent that fuel our shared prosperity. 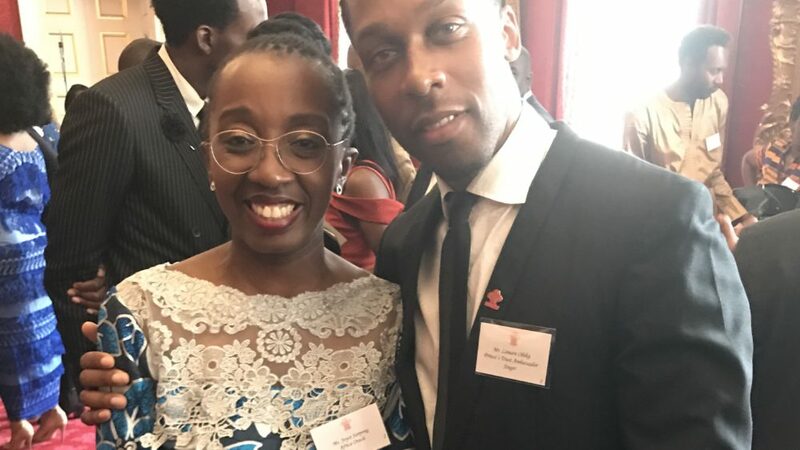 I belief that the dynamic and forward-looking African diaspora are great assets and ambassadors who can connect the UK with their countries of heritage by leveraging their cross-border networks. AfricaOracle is actively seeking ways of involving professional and entrepreneurial African diaspora, governments and their diplomats to build awareness of economic opportunities for championing and foster relationships with investors for the socio-economic benefits of our countries. If you have any questions, are interested about business opportunities, entrepreneurship training, speaking engagements or you simply want to share your stories, we want to hear from you!